PRETORIA, South Africa, November 3, 2011 (ENS) – A total of 214 suspected rhino poachers were arrested in South Africa between April 2010 and March 2011, and 16 were killed in armed conflicts with wildlife officials during that period, according to the government’s 4th National Compliance and Enforcement Report released today in Pretoria. The report by South Africa’s Department of Environmental Affairs shows that of the 214 suspected poachers, 92 were arrested in Kruger National Park, which is inhabited by South Africa’s largest populations of both white and black rhinos. A separate report out today shows that more rhinos have been killed in South Africa in the past 10 months than were killed in all of 2010. Statistics from South Africa National Parks show that 341 animals have been lost to poaching so far in 2011, more than the previous record of 333 rhinos poached last year. 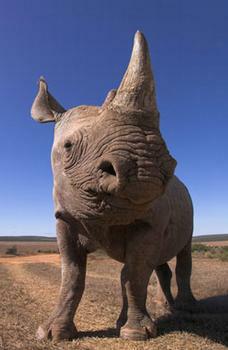 Over the past 12 years, SANPARKS figures show, 999 rhinos have been killed in South Africa. In a joint statement on the new rhino fatality statistics, the international conservation group WWF and the the wildlife trade monitoring network TRAFFIC say that rhino horn demand, largely in Vietnam, is leading to the record poaching levels in South Africa. 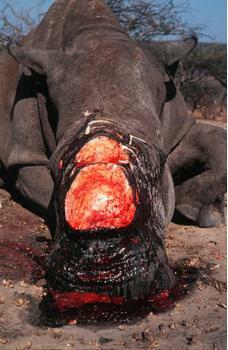 South Africa has been the focal point for poachers because it has the largest population of rhinos in the world. But rhino poaching across Africa has risen sharply in the past few years, threatening to reverse hard-won population increases achieved by conservation authorities and nongovernmental organizations during the 20th century. An estimated three rhinos were illegally killed each month in all of Africa from 2000-2005, out of a population of around 18,000, according to figures from the Convention on International Trade in Endangered Species, CITES. Most rhino species are listed in CITES’ Appendix I, which bans any international trade of rhino parts for commercial purposes. The first alarming spike in rhino poaching occurred in 2008, when 83 rhinos were lost. Then, in 2010, Kruger National Park alone lost 146 rhinos to poaching. South Africa has responded by intensifying its law enforcement efforts, resulting in the 214 arrests reported today. Some of those convicted are being sentenced to lengthy prison terms. The Department of Environmental Affairs report shows that three Mozambican nationals were found guilty on charges of illegally hunting rhinos in a national park and possession of unlicensed firearms and ammunition. They were handed prison sentences ranging from five to nine years, each without the option of a fine. As part of its response to the poaching crisis, the government is developing a national strategy for the safety and security of rhinoceros populations and horn stocks in South Africa. The government also is establishing an interim Wildlife Crime Reaction Unit to investigate rhino-related crimes in cooperation with South Africa National Parks, the South African Police Service, conservation authorities, the National Prosecuting Authority and the Defence Force. The rhino poaching issue has been elevated to highest security management structures, said the Department of Environmental Affairs. A National Joint Committee agreed to incorporate Operation Rhino as a standing agenda item into the country’s National Joint Operational and Intelligence Structure. At a CITES meeting last year, the member governments concluded that the increase in rhino poaching has been caused largely by demand for horn products in Vietnam. Law enforcement efforts there, while increasing, are not yet sufficient to protect rhinos from poachers or stop the smuggling and sale of their horns by organized crime rings. The Vietnam connection showed up in the report by South Africa’s Department of Environmental Affairs. The report shows that a Vietnamese national was arrested at OR Tambo International Airport in Johannesburg for illegal possession of one rhino horn. Demand for medicinal products containing rhino horn continues to increase in Vietnam and other parts of Asia although rhino horn has no proven ability to treat cancer or any other disease and is no longer a part of the official Chinese traditional medicine pharmacopeia. This demand has led to the extinction of the Javan rhino in Vietnam. The carcass of Vietnam’s last Javan rhino was found in April 2010 with a gunshot wound and without its horn. The structure of the rhino horns is similar to a pencil’s lead core and weaker wood periphery, with dense mineral deposits of calcium and melanin in the middle surrounded by keratin, the same substance that makes up animal hair and nails. As part of its response to the rhino poaching crisis, the government of South Africa is facilitating a visit to Vietnam to discuss issues of concern regarding the smuggling of rhino horns and the legal export of sport-hunted white rhino trophies. In September, a delegation of Vietnamese officials visited South Africa to discuss enhancing law enforcement cooperation between the two countries. Last year, TRAFFIC facilitated a similar visit to Vietnam for South African authorities. Conservation authorities and NGOs are racing against time to help rhinos survive. 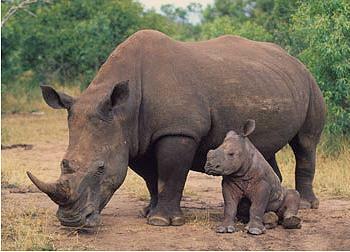 Of the five species of rhinoceros, three are critically endangered, the highest level of threat before extinction.